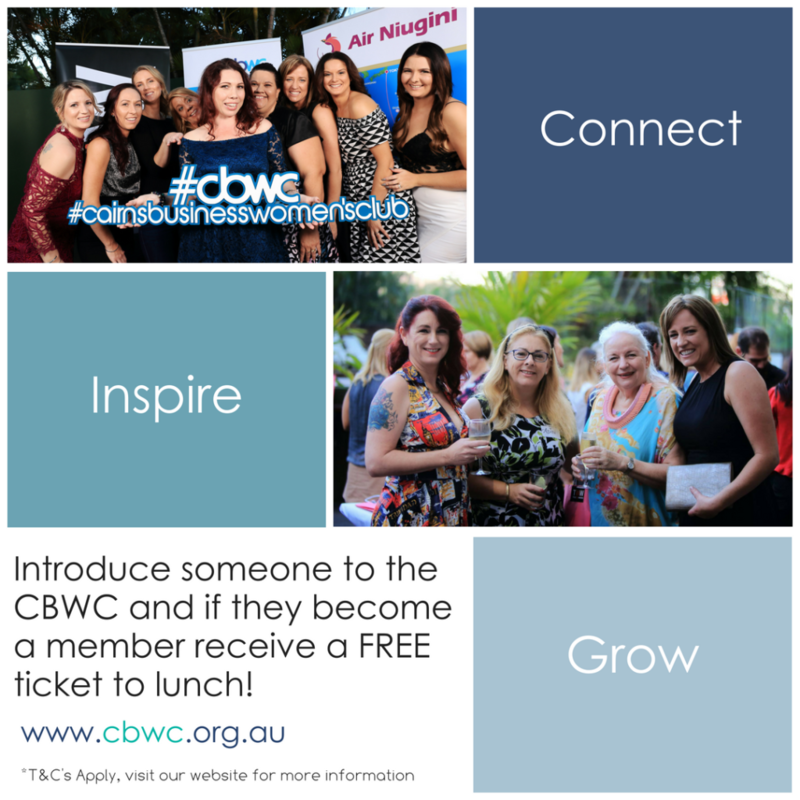 The Cairns Business Women's Club currently offers two annual membership options: Individual or Corporate. Corporate membership covers 3 - 5 employees from the same organisation. *T&Cs - the person introduced must not be a previous been a member of the CBWC - one ticket only for the next lunch event, which is not transferable to another person & excluded the Christmas event - you must notify the CBWC of the introduction in writing to info@cbwc.org.au, once verified we will be in contact with further details.